These old adages have the sole purpose of helping people recognize poison ivy so they can avoid touching it. Anyone who’s ever had a brush with poison ivy knows the significance of the sayings. Still, a run in with poison ivy is often unavoidable, especially in the summertime. Fortunately, remedies to get rid of poison ivy rash are just as common as those sayings. Why does the body react to poison ivy? How can a reaction be prevented? How can a reaction be treated? The stems and leaves of the poison ivy plant release an oily resin called urushiol, a colorless and odorless substance. Within about 15 minutes of contact with the skin, urushiol binds with the skin’s proteins. This new component is identified as a foreign substance by your body’s immune system, and rash symptoms that appear are merely the body’s way of fighting it off. You may experience symptoms in the contact areas after 12 to 48 hours of contact. The symptoms usually last for 2 to 3 weeks. Ivy rashes are not contagious and can’t be spread from person to person. However, you can pick up the rash by coming in contact with the plant’s oil that may remain on clothing, shoes, pet fur, etc. Also, a rash can appear to be spreading on your body, when it is a matter of the oil taking longer to absorb into the skin in different areas. Painful and itchy rashes, along with redness and swelling in the affected area are the common symptoms associated with poison ivy. The rashes may develop into oozing blisters. Difficulty in breathing may occur if you inhale the smoke of burning ivy. Wash the contaminated area thoroughly with soap and cool water within 10 minutes of coming in contact with poison ivy. Whenever venturing out in an area with known poison ivy growth, wear long sleeves and pants. Cover your head and face, and wear shoes and gloves. You may also choose to duct tape your sleeves to the gloves and your pants to the socks. Get rid of poison ivy growing in your yard. Pulling out the plant with its roots is the best approach. Be sure to cover exposed skin while doing so. Refrain from burning poison ivy, as the smoke may contain traces of urushiol that may cause breathing problems. There is no dearth of remedies and advice when it comes to poison ivy, but years of experience has provided people with a lot of simple things that actually work. 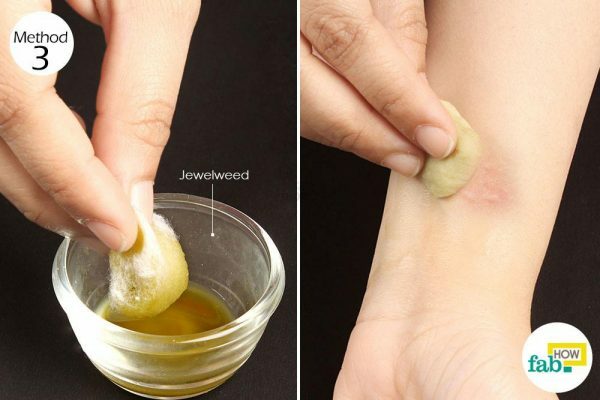 These remedies are easy to follow, and most of them are absolutely natural and will help you get rid of poison ivy rash in one day. If you happen to come in contact with poison ivy and have already started to feel that familiar tingle on your skin, you’d better get going with any of the given home remedies for poison ivy as soon as possible. 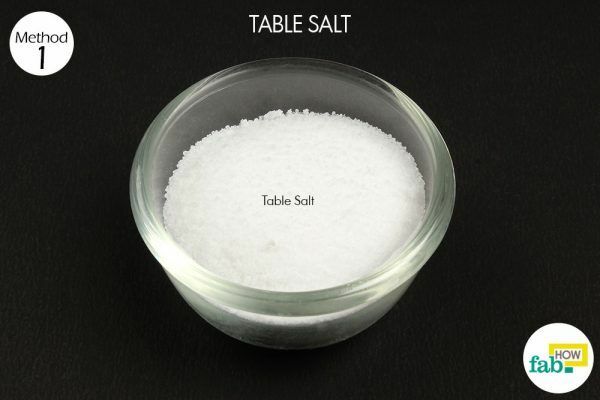 Plain old table salt is as simple a remedy as it gets when it comes to treating a poison ivy rash. It can be safely used on mild as well as severe rashes. Sprinkle some table salt over the area. Rub the salt over the rash with your fingers for quick relief from the itching. Repeat the application if you have persistent itchiness. Warm water is another remedy to ease the unbearable itch that comes with a poison ivy rash. (7) Your body already has the mechanism in place to deal with any allergens and begin the healing process. The itchiness is merely your body’s reaction to the allergen. 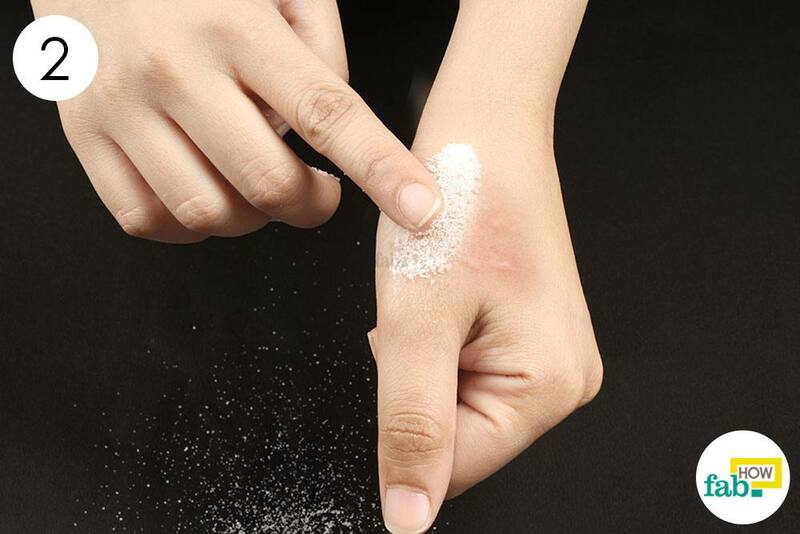 When you bring the rash in contact with warm water, it may become more inflamed initially. But the heat signal ultimately overrides the itch signal, and the itchiness subsides as a result. Heat also improves blood flow in the area, which speeds up the healing process. Warm water can give you a break from the itchiness for 2 to 6 hours and help you get a good night’s rest, furthering the healing process. Simply wash the affected area with warm water until you feel that the itchiness has subsided. If you have rashes all over your body, a warm shower or a hot bath would be best. This plant is a natural and effective poison ivy antidote. It is known to grow near water or in shallow ponds. You can find it growing in most areas where poison ivy grows. Jewelweed is particularly handy if you’re in natural surroundings and far from any sort of help. As a precautionary measure, you can grow it in your garden for a speedy first aid. Jewelweed is quite effective in preventing rashes from appearing after contact with poison ivy. The study states the presence of saponins in the plant is what makes it effective in treating and preventing an ivy rash. If you accidentally touch poison ivy, just crush some jewelweed leaves and rub the juice over the affected skin to prevent a rash. If a rash has started to appear, you may need repeated applications of the jewelweed juice until the rash subsides. You may also use a poultice made from jewelweed to treat the rash. Fresh leaf juice works much better, while tinctures and soaps made with jewelweed extract are not as effective. Rubbing alcohol can be an effective poison ivy treatment, as it can wash away the urushiol allergen that causes the trouble. 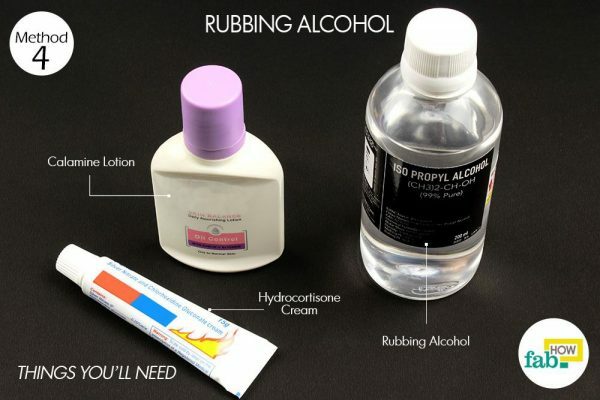 Rubbing alcohol will also disinfect the skin and alleviate the itchiness. 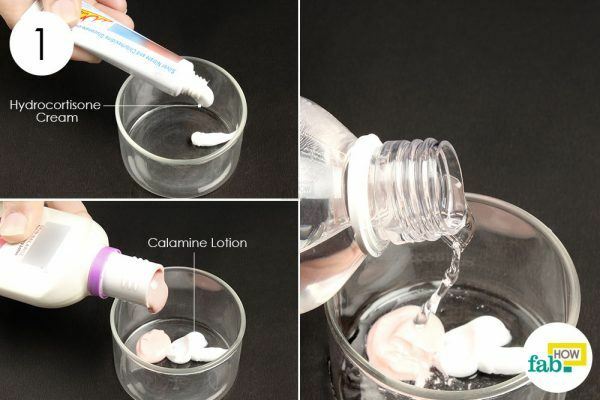 Using a salve made from rubbing alcohol, calamine lotion (2) and hydrocortisone cream (7) can help you deal with rash symptoms and prevent the rash from developing further. Both calamine lotion and hydrocortisone cream are known to provide relief from rashes. Put some hydrocortisone cream in a bowl. Add equal parts of calamine lotion and rubbing alcohol. Mix the ingredients completely to make a paste. Apply the mixture on the rash and let it dry. Rinse it off with plain water and pat dry with a soft towel. Repeat 3 times a day for speedy relief. Do for two to three days, if needed. 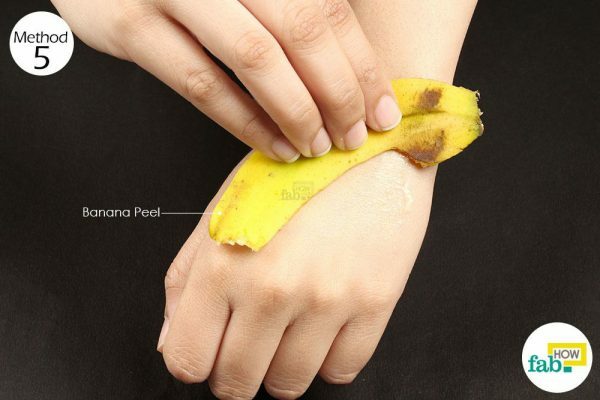 Banana peel is not only useful for whitening your teeth or removing a wart; it also can be beneficial in treating a poison ivy rash. (1) Whenever you’re stepping out into a wooded area, keep a couple of bananas at hand. Using a fresh banana peel straight from the fruit, rub the white part of the peel over the poison ivy rash for quick relief. Repeat the process two or three times a day, as if needed. It can be safely used on broken and unbroken skin. Be informed that ACV does sting, but once the initial burn subsides, you won’t have to deal with itchiness again for up to an hour. Open blisters will sting more than unbroken skin. Repeated applications throughout the day will cause the rashes to dry out and flake off. 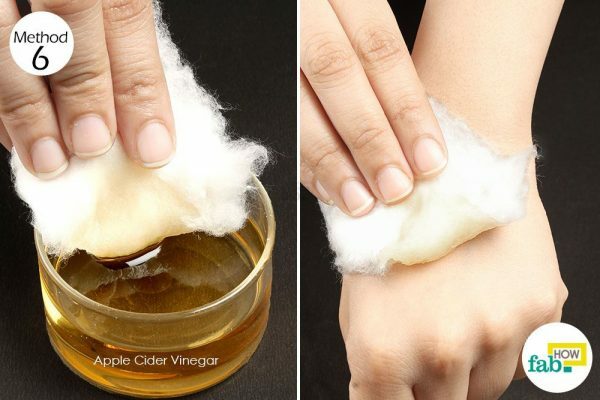 Dip a cotton pad into apple cider vinegar. You can also use a clean cotton cloth. Apply the apple cider vinegar-soaked cotton pad over the irritated skin, using it as a compress. Keep the pad in place for several minutes to allow the apple cider vinegar to work. Let the area dry and avoid getting it wet. Repeat this remedy several times a day until the rash subsides. 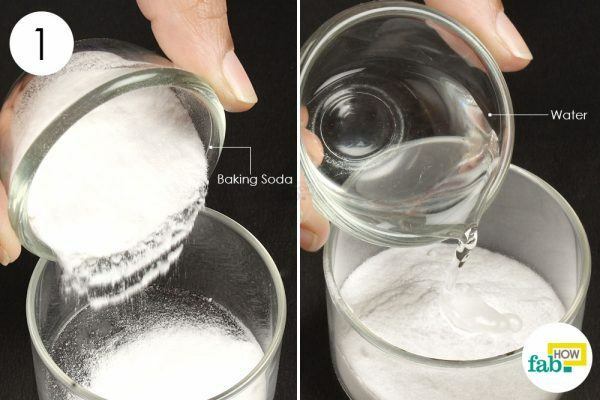 Measure 3 parts baking soda into a bowl. Add 1 part water to it. Apply the baking soda paste on the rash and let it dry. You can dust it off after it dries, but avoid washing the area for full benefits. Use the baking soda paste 3 times a day until the rash subsides completely. The cooling and soothing effect of oatmeal can help you deal with a variety of rashes and allergies, including that from exposure to urushiol in poison ivy. Put 2 tablespoons of powdered raw oatmeal into a large bowl filled with bearably hot water. 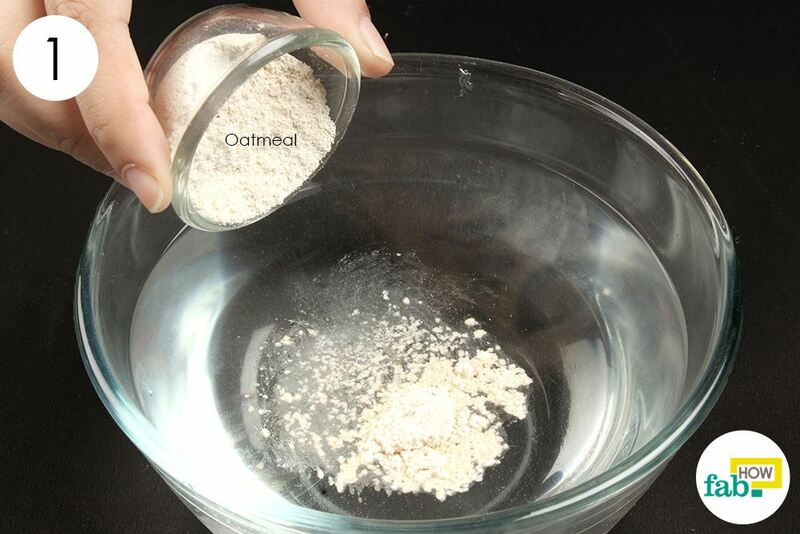 Mix the powdered oatmeal into the water to prepare a soak. Dip the affected area into the oatmeal soak for fast relief. If you have rashes over multiple areas of the body, make an oatmeal bath by mixing 2 cups of powdered oatmeal in bathwater. Keep the irritated skin submerged in the oatmeal soak for about 20 minutes. Repeat the procedure the next day if needed. An Epsom salt bath can help dry out a poison ivy rash. Epsom salt may also help in treating mild to severe rashes as well as safe for treating oozing blisters. 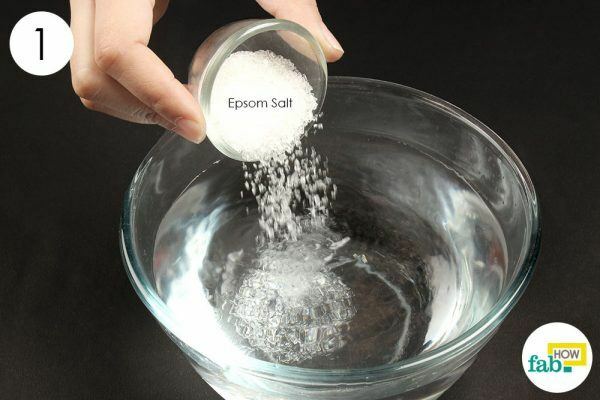 Regular Epsom salt can provide relief from achy and itchy skin. 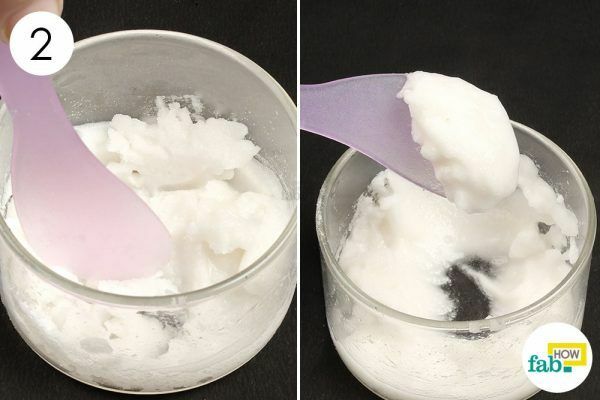 Put 1 tablespoon of Epsom salt into a large bowl filled with warm water. Stir to completely dissolve the salt into the water. Dip the skin with the rash into the Epsom salt soak to get relief from the inflammation and itching. To treat rashes over larger areas of the body, prepare an Epsom salt bath by mixing 1 cup of Epsom salt into the bathwater. Let it soak for about 20 minutes. Shake off the water and pat your skin dry with a soft towel. Repeat the procedure until the rash subsides. Everyone’s body chemistry is different. What may work well for one individual may not be beneficial for another. Choose remedies keeping in mind your body’s sensitivity and refrain from using remedies you’re allergic to. Start the remedy as soon as you can for best results. If your skin doesn’t react adversely to bleach, but you’re unable to tolerate the pain, use a bleach compress. Just like banana peels, watermelon rinds can also be used to get relief from poison ivy rashes. To kill poison ivy without coming in contact with it, you can make a natural weed-killing solution. 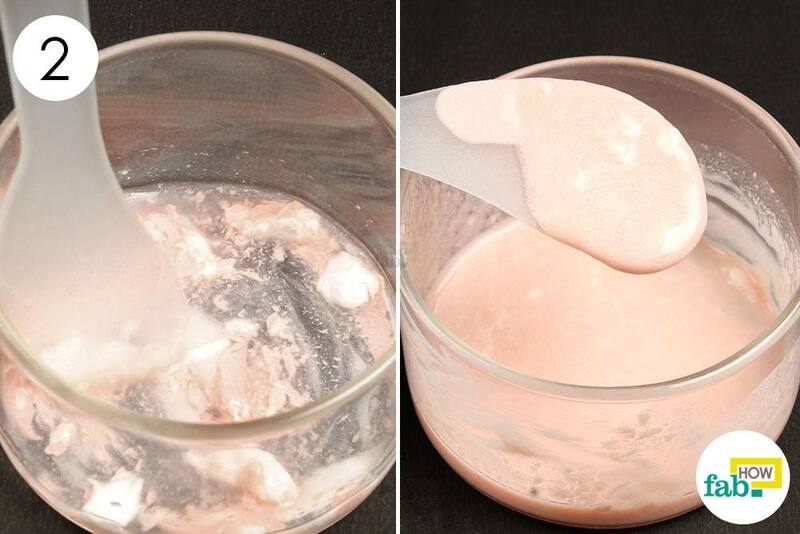 Dissolve 1 cup of salt in 1 gallon of vinegar and add 2 teaspoons of liquid dish soap to it. Spray this solution on the ivy plants for a few days regularly. However, be cautious in your usage as this solution will kill any vegetation on contact. Kumar KPS, Bhowmik D, et al. Traditional and Medicinal Uses of Banana. Journal of Pharmacognosy and Phytochemistry. http://www.phytojournal.com/vol1Issue3/9.html. Published 2012. Treating poison ivy: Ease the itch with tips from dermatologists — American Academy of Dermatology. https://www.aad.org/media/news-releases/treating-poison-ivy-ease-the-itch-with-tips-from-dermatologists. Published 2014. Budak NH, Aykin E, Seydim AC, Greene AK, Guzel‐Seydim ZB. Functional Properties of Vinegar. The Canadian Journal of Chemical Engineering. https://onlinelibrary.wiley.com/doi/full/10.1111/1750-3841.12434. Published May 8, 2014. Gladman AC. Toxicodendron Dermatitis: Poison Ivy, Oak, and Sumac ... Wildnerness and Environmental Medicine. https://www.wemjournal.org/article/S1080-6032(06)70299-X/fulltext. Published June 2006. Petersen BW, Arbuckle HA, Berman S. Effectiveness of saltwater baths in the treatment of epidermolysis bullosa. Pediatric Dermatology. https://www.ncbi.nlm.nih.gov/pubmed/25644039. Published 2015. Shah KN, Verma P, Suhagia B. Journal of Applied Pharmaceutical Science. https://www.researchgate.net/publication/319928639. Published August 2017. Consumer Updates - Outsmarting Poison Ivy and Other Poisonous Plants. US Food and Drug Administration Home Page. https://www.fda.gov/ForConsumers/ConsumerUpdates/ucm049342.htm. Abrams V, Bowers CP, Mull L, Kinder DH. The effectiveness of jewelweed, Impatiens capensis, the related cultivar I. balsamina and the component, lawsone in preventing post poison ivy exposure contact dermatitis. Journal of Ethnopharmacology. https://www.ncbi.nlm.nih.gov/pubmed/22766473. Published August 30, 2012. Lots of good treatments, I will try them, one thing not mentioned as far as taking away the itching , instead of hot water, a blow dryer on the hottest setting you can stand for about 20 seconds to iching area will feel great and take away itching for hours. Thank you for the comment. We really appreciate you sharing your experience and tips with us. Great article. I plan on trying the Epsom salt bath tonight. 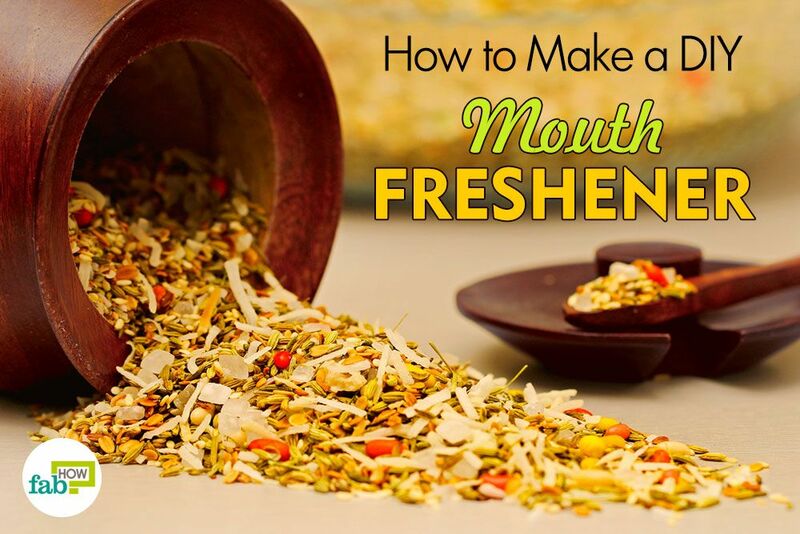 Another tip I’d like to add is to use Dawn dish detergent. It breaks down the oils from the plant. Do let us know how things turned out for you. So glad bleach worked out well for you!! We are sorry about your condition and hope it improves soon. Do let us know how Epsom salt turned out for you. I’ve tried a lot of these the ACV feels the best. I wished this would tell you if you should wipe the stuff right away like the bleach and acv. Should i let all of them dry on their own or should i pat dry them. Also could I pop them and use this stuff so it doesn’t spread? I think (i feel like if I popped them) it would work quicker and stop itching! What harm would I do if I popped them?? Also I didn’t use these right away. I thought i was fine since i took a long cold shower. So after 3 or 4 days I started to notice and itch. Is there a a better remedy to do since i was late to use these?? I’d love some answers to these if anyone can,thanks.